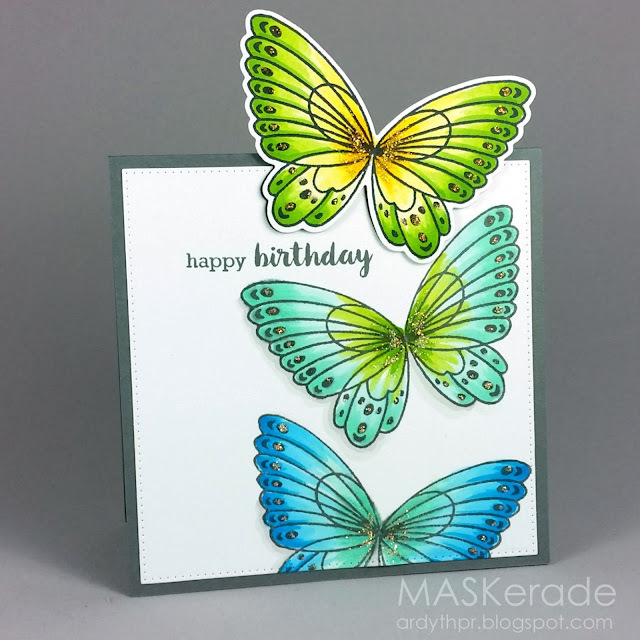 I love how the lines on these butterflies echo the stripes on Kim's card. Very nice Ardyth! Love how the top butterfly is flying away from the card. Love the cheerful colours. Hi Ardyth, trying to play catch up after vacation! Lots of prettiness happening on your blog while I was away. I really like the rainbow of feathers card! Nice card, Ardyth. The butterflies are just stunningly beautiful. Thanks for the inspiration. Beautiful card Ardyth. I love the bits of sparkle as well. Beautiful take on Kim's card, Ardyth! 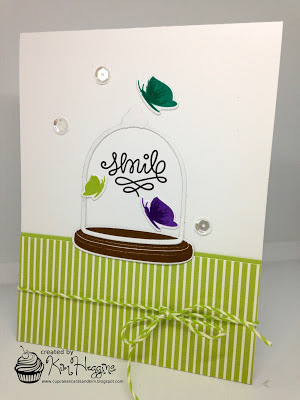 Lovely 'off the card' design and I love how you colored your butterflies! The touch of sparkle is just perfect, too!